In electrodeionization, DC voltage is the force for driving ions out of the stream to be purified. Current is a result of the movement of ions. Both as a matter of physics and as a practical matter, SnowPure recommends using “Voltage Control” for EDI: set the DC voltage potential to the EDI system and walk away–let the current follow the ion load on the EDI. it creates locally very high and very low pH within the bed, preventing the growth of bacterial colonies, hence making the EDI module bacteriostatic. Practically, voltage control for electrodeionization makes sense. It is well known that the RO permeate changes over time. As municipal feed sources change, as seasons change, as temperatures change, the RO permeate changes. With voltage control, the DC current in the EDI follows the feedwater changes effectively. If you use “current control”, then a human worker must periodically recalculate the required current and make the control change manually. 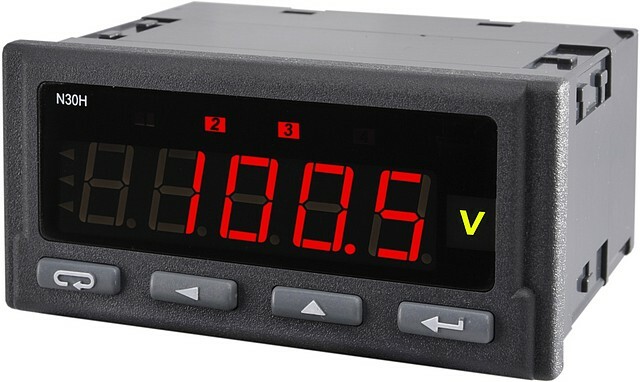 Using voltage control removes this need, and makes the EDI control system both passive and automatic. In summary, SnowPure recommends setting the DC voltage applied to the electrodeionization module, rather than setting the current, for both practical and principled reasons. Set the voltage and let physics take over. SnowPure offers ediPureSource™ DC power supplies for sale. They are specifically designed to control electrodeionization systems, and include provision for interlocks such as pressure and flow switches.